Whole Foods has specials this weekend on Cod and Coffee! 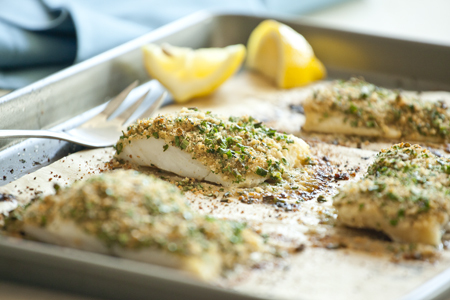 The cod comes from Marine Stewardship Council (MSC)-certified Alaskan fisheries. MSC certification is the gold standard for seafood sustainability. • This coffee is a blend of citrus, apricot, milk chocolate and caramel notes. • It’s fairly traded! 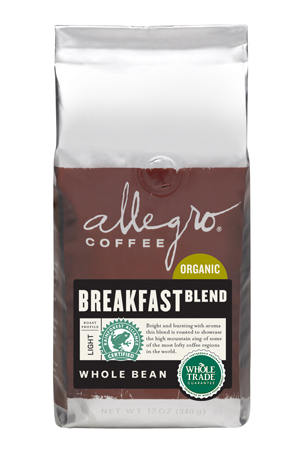 This light roast is not only organic and Rainforest Alliance certified, it’s backed by their Whole Trade®Guarantee, which ensures safe and healthy working conditions for farm workers, environmentally-friendly growing practices, fair prices to producers and a donation to Whole Planet Foundation® for poverty relief. • This coffee is made with a combo of high quality beans from Selva Negra Estates, an environmentally friendly farm in Nicaragua, and Ethiopian coffee called Moredecofe, one of the few Rainforest Alliance coffees in Ethiopia.